WASHINGTON (CNS) — Kansas Gov. Sam Brownback got emotional about international religious freedom in a news conference livestreamed July 27 from his home state. President Donald Trump nominated Brownback to the position of ambassador at large for International Religious Freedom, according to a White House announcement July 26. The governor has a long record of upholding religious freedom, since his support of the International Religious Freedom Act in 1998 as a U.S. Senator. This is the act which created the office for which he was just nominated. In 2002, Brownback became a Catholic. If approved by the Senate, Brownback will work with foreign policy makers to preserve religious freedom worldwide as the head of the office of international religious freedom in the U.S. State Department. According to World, an online magazine, Brownback said, “The level of persecution continues to grow,” and that since the office was created, not enough has been done. Senate approval is unlikely to occur prior to lawmakers leaving for their summer recess. His position cannot be confirmed without Senate approval. With his predicted resignation from governorship if the nomination is confirmed, Lt. Gov. Jeff Colyer, a fellow Catholic and two-time running mate of Brownback, will assume the role as governor. Brownback has served on the Hill in various capacities including as congressman for Kansas’ second congressional district in 1994 and as U.S. senator for 14 years. 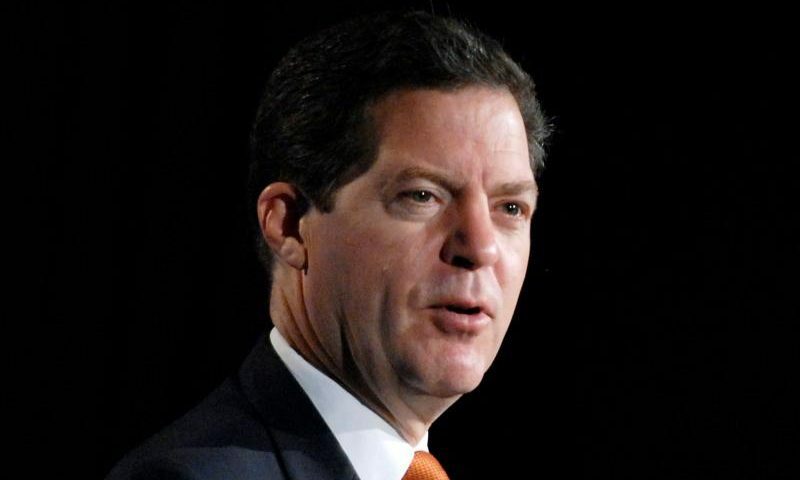 In 2010, Brownback was elected governor of Kansas. His record has been far from favorable due to his experimental tax cuts, with a 2016 New York Times survey naming him the most unpopular governor, with only 26 percent approval rating. His tax cuts, which were implemented in 2012, severely cut back Kansas’ revenue to the point of threatening its schools and other programs. The Kansas Legislature, with a Republican majority, reversed these tax cuts in early June, returning tax rates to their levels prior to Brownback’s term. But despite his tax policy failure, Brownback said in the July 27 news conference that he is most proud of the pro-life legislation that has passed under his governorship. He said that he has signed 19 pro-life bills. Rep. Chris Smith, R-New Jersey, who is chairman of the House panel on global human rights, said Brownback has the experience to effectively promote religious freedom around the world. Brownback spoke about his run as governor, senator and congressman throughout the years for the state of Kansas. But also about how his experience with the International Religious Freedom Act in 1998 has prepared him for this potential new role. The governor confirmed that he has not spoken with anyone within the Senate and so a timeline on his nomination vote is unknown.